With undoubted sighs of relief all round, not just by the company and its employees, but by the wider band of enthusiastic travellers and followers, it appears that Network Rail has lifted its Notice of Suspension from the 8th May. Hopefully the signals will soon be back up allowing the many charters to return to the rails. The A1 Steam Locomotive Trust is delighted to announce its first train of the 2015 season with the recreation of 'The White Rose' express. 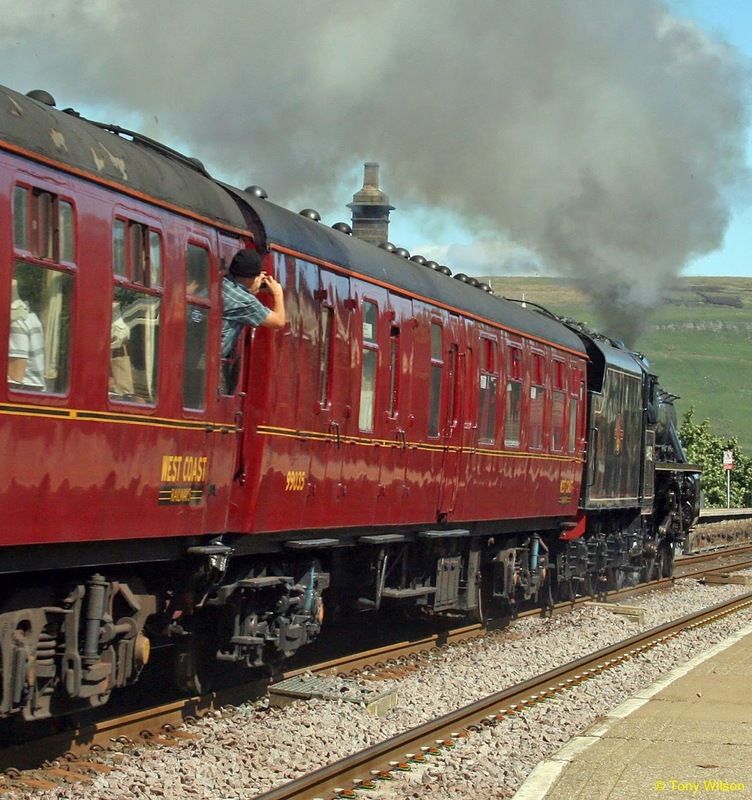 'The White Rose' was the premier train from London to Yorkshire in the post-war period and this unique railtour will combine nearly 200 miles of travel behind No. 60163 Tornado and iconic Deltic No. D9009 Alycidon. London King's Cross to York and return on Tuesday 2nd June 2015 No. 60163 Tornado and iconic Deltic No. D9009 Alycidon - the train will be operated by DB Schenker and use Riviera Trains coaches. Fresh from her intermediate overhaul and newly repainted into her glorious apple green livery Tornado will be hauling her second main line railtour of 2015 on Tuesday 2nd June 2015 from York to London King's Cross, taking over from Alycidon which hauled the northbound leg. We are pleased to confirm that the carriages will be in the historic carmine and cream livery and those passengers in premier dining on 'The White Rose' will receive a traditional silver service throughout the journey. We expect there to be much fast running with Tornado at her permitted maximum speed of 75mph and Alycidon at 100mph. Heading north covering 189 miles along the East Coast Main Line, Alycidon will stretch her legs along the line she once frequented, taking in the magnificent sights of the summer countryside heading towards the picturesque and historic City of York. A pick-up will be made along the way at Potters Bar. On arrival at York passengers will have time to explore the wonderful city, with its famous Minster and National Railway Museum, before boarding 'The White Rose' for its return leg to the capital hauled by No. 60163 Tornado. 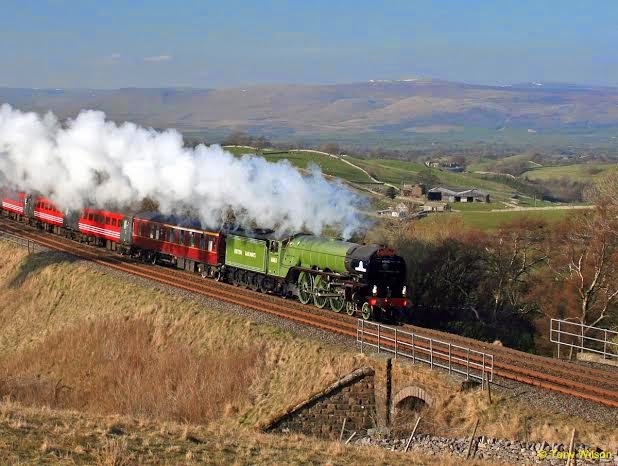 Mark Allatt, chairman, The A1 Steam Locomotive Trust, commented, "We are very pleased to announce our first main line railtour of 2015 with 'The White Rose'. Tornado will be fresh from her intermediate overhaul and newly repainted in her glorious apple green livery, so we anticipate that seats for this train will sell out rapidly. 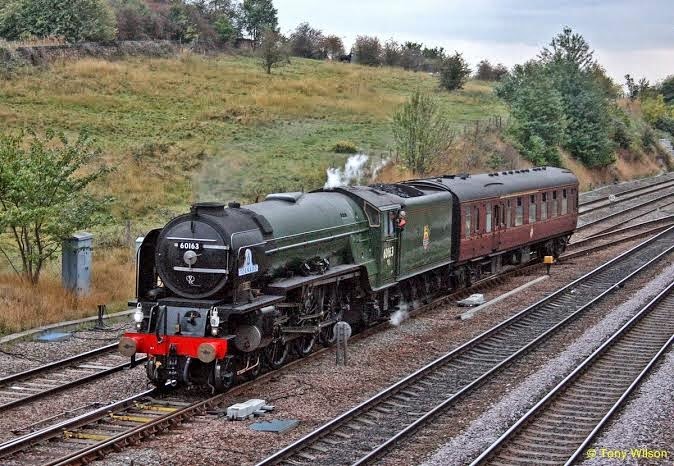 This is a classic Peppercorn class A1 and Deltic run from London King's Cross to York and return, offering magnificent sights and sounds that will accompany fast, express locomotives – steam and diesel – working hard... an experience not to be missed!"